Stephen Travers is Deputy Head of Havening for Europe & the UK & an International Havening Techniques Trainer. He is one of Ireland's leading hypnotherapists & Certified Havening Techniques Practitioners. Stephen practices in two full time clinics based in Dublin. 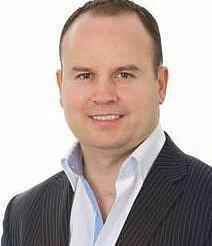 Stephen is Irelands first Certified Havening Techniques Practitioner and is one of the most experienced Havening practitioners in the world. He is also an author, speaker and trainer with over a decade’s experience in successfully treating thousands of clients. You can check out his website www.stravershypnosis.com for a list of his services and clients video testimonials of the excellent results he achieves. Stephen is passionate about about personal & professional development and in keeping up to date with the latest psychological advancements that can best help his clients and the health professionials he trains. His Havening and hypnotherapy anxiety program combines the best of leading psychological methods and techniques alongside Havening to help produce fast, lasting and positive outcomes and results for his clients. He also writes a weekly award winning hypnotherapy blog were he shares valuable information, insights and advice to help people overcome challenges such as anxiety, panic attacks, post-traumatic stress disorder, phobias, depression, weight loss, improving confidence and to lead a more happier, fulfilling life. Please see http://stravershypnosis.com/blog/ for Stephens regular blogs posts about hypnotherapy, NLP and Havening. For Fast, Lasting Positive Results! This client shares the profound positive difference one Havening session has make for her in clearing severe panic attacks & anxiety. In this video the client talks about how Havening has cleared a long standing traumatic memory within minutes and the significant positive changes he is already feeling from this first session. This video highlights the extraordinary healing results the Havening Techniques produce for helping people overcome anxiety based issues such as panic attacks, post-traumatic stress, IBS syndrome and phobias even within one session. In this video Stephen Travers demonstrates how to do Self Havening. Stephen Travers discusses the benefits of Havening and the neuroscience behind the techniques that helps to produce rapid remarkable results for anxiety based issues and trauma on the Elaine daytime TV show. Stephen Travers is one of only a handful of International Havening Techniques Practitioners that has earned this prestigious position of Trainer. It is my privilege to work side by side with such a skilled healer and leader in this emerging field. I attended the Havening Technique practitioner course in Dublin in May 2017 which was presented by Stephen Travers whom I have to say was excellent at explaining and demonstrating this amazing technique. Those in attendance ranged from Hypnotherapists, psychologist, medical professional, coaches, councillors and complementary therapists and everyone learned how Havening can be used in their particular field. I am so looking forward to offering Havening techniques to my clients and would encourage anyone considering training to definately go for it. Thank you Stephen for a wonderful 2 days training. I had the fortune to train with Stephen in Dublin this year and the training was of a very high standard. Stephen is hugely knowledgeable and accomplished in his field and I would highly recommended him as a trainer or or practitioner. I have just completed the two day Havening Techniques course with Stephen in Dublin and I'm blown away by the power of this amazing therapy and the quality of the training. I met a fantastic group of people whom I very much hope to keep in contact with. The calibre of the coaching assistants was second to none and each of the coaches guided us gently but firmly to follow Stephens instructions. After a weekend of Havening I feel like a new person and this training has completely reinforced my belief that Havening is absolutely life changing and can create change and heal with unbelievable speed. Over and over again during the weekend I looked at confused faces as people fought to recapture negatives feeling and emotions that had been quite literally zapped within 5-15 minutes of Havening. Thats when you really know that it does what it says on the tin, when people are unable to connect with a feeling that has been a constant unwelcome companion for many years. If you are a therapist and you want to bring about fast permanent change, I'd advise you to do this training which will allow you to bring your clients the best possible outcomes as quickly as possible. If you are looking for a therapist to help you construct meaningful permanent changes and help you to achieve your full potential then look no further. Stephen has a genuine passion for what he does both as a trainer and a therapist. Havening is in my opinion a revolution in the world of therapy just waiting to happen! Why are the Delta Wave Havening Techniques so effective for anxiety based disorders? What causes anxiety based disorders?